Leather chairs, wood-panelled rooms and a haze of smoke used to be synonymous with drinking whisky. All that has changed though, and today drinking a dram isn’t the stuffy, old money, old man’s pursuit. Whisky has captured the popular imagination, and is being shaken together with house-made shrubs, co-opted by your girlfriend (and her best friends) and served at restaurants that court a serious bar crowd. 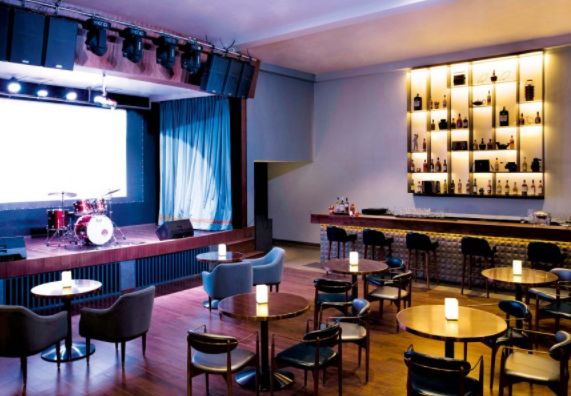 It claims to have the biggest whisky selection in the country, and the menu that’s laid down in front of you is testament, but that’s just one of many reasons to visit Kode. The bartenders behind the massive square bar turn out three-course cocktails in an interior designed by cult Japanese firm Super Potato. The spirit: The Islay single malt Kilchoman Machir Bay is an excellent introduction to a peaty dram with a lingering finish. The Cocktail: The Old Fashioned might consist of just three ingredients, but as with almost everything at this restaurant, there’s more to it than meets the eye. At the recently opened Le Méridien Goa is this rare gem. A far cry from the Kings-on-the-beach vibe, Jazz and Grills includes a large selection of whiskies and single malts, accompanied by live music and delicious grilled seafood, meats and more. For an evening that combines a little bit of the jazz age with Goa’s laid-back charm, there’s no better bar to keep coming back to. The spirit: It seems only appropriate to try the Paul John Single Malt – it’s distilled in Goa, and is making waves all over the world. The Cocktail: Order a John Collins, made with bourbon, fresh lemon, sugar and topped with soda. It’s the perfect drink to order on a holiday, when you intend to keep going all night. 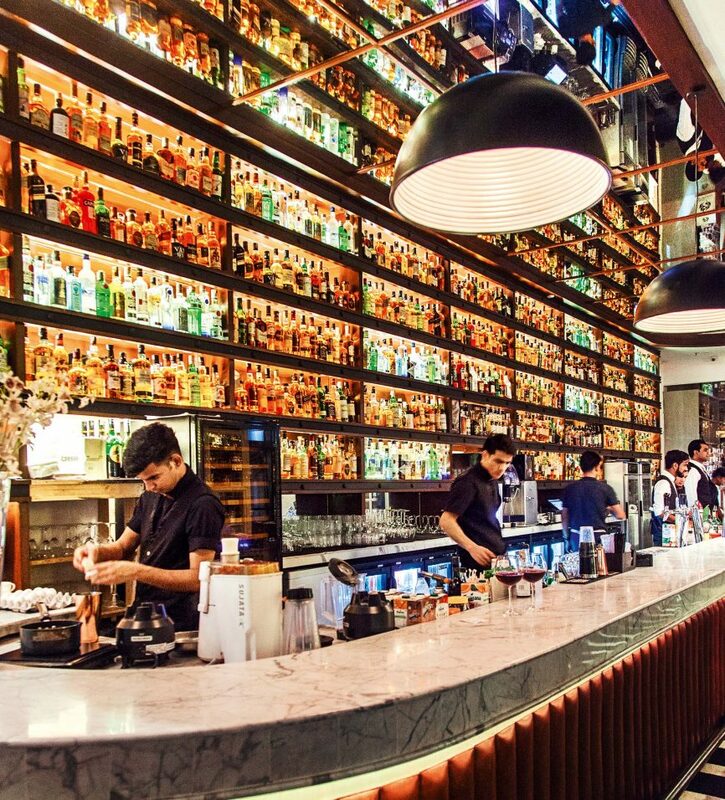 The bar looks more like a library than anything else, and at Whisky Samba that translates to an array of options for both the uninitiated and the serious. The whisky trails offer 30ml tasters of similarly flavoured tipples for those looking to train their palate. To top it off, it’s one of the few restaurants in the country that will sell you an entire bottle of booze. Which means the next time you’re picking up the tab, look no further. The spirit: Togouchi Japanese Whisky imports malt whisky from Canada and Scotland, then ages them and blends the result. It’s a truly globe-trotting drink for the experimental drinker. The Cocktail: Get the Mr Spice and Nice, which combines Johnnie Walker Black Label with vermouth, a spicy port with plum bitters and a plum reduction. If you’re a carnivore, India’s first Texas-style barbecue smoker should be on your list of eateries to visit. As a bonus, it has a selection of tipples that span Scottish favourites, Asian upstarts and American bourbons. Try each with a house-cured meat board, or opt for a dram while taking in the sights through the massive glass walls. The spirit: Maker’s Mark, an American bourbon that pairs well with one of The Smoke Co’s signature dishes, the smoked bone marrow. The Cocktail: The mango shrub in the Mac Jagger is house-made. It’s stirred together with whisky (or bourbon, the choice is yours) and ginger juice.